Who says the Mary Kay ladies don’t give you any useful training? 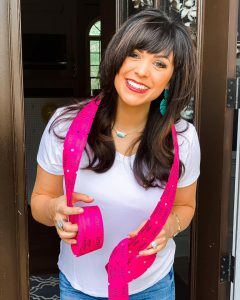 NSD Kristin Sharpe did this great piece on FaceBook about using raffle tickets at your Mary Kay parties. Okay, it’s not really all that great. You know why it’s not great? Because it doesn’t actually help you sell anything. It doesn’t help you get any women to a skin care class. That’s where the problem is with MK… finding willing victims. You can’t pass out raffle tickets if you have no one to pass them out to. They can do “training” all day long on things like roll-up bags and raffle tickets and having women fill out referral sheets. But how do you actually find the women who will come to a class? Where do you find new blood? Sure, you can spend each morning at Starbucks trolling the professional women who come in to get their coffee. But that’s not going to get you far. The truth is that there is no technique out there that will get you in front of enough women to develop a viable selling business. Why? Bcause you need to talk to so many women. If you wanted to hold 5 to 6 classes a week, you’d have to book 10 to 18 (yes, book 2 to 3 times as many as you want to hold), which would mean having a Mary Kay conversation with 40 to 50 women a week. Good luck finding enough women to do that. But here’s some fun “advice” about giving out raffle tickets! I tried raffle tickets, and it became a huge, exhausting mess. A ticket for laughing? My guests got carried away for asking questions for tickets, and they started asking ridiculous ones. My script was trashed, and my sales were low. Horrible idea! Raffle tickets are the first indoctrination into the MK mindset for all those new recruits….errr, I mean guests at the party. Get the guests excited to win a “prize” by gathering raffle tickets. Like BestDecision said, they start getting carried away doing ridiculous things just to get that raffle ticket and win that prize. MK gets the IBCs excited to win a car, ring, trip, etc. To win that prize you have to meet certain production. The IBCs then start doing ridiculous things to make that production (face models, fake spa day boxes in stores, dialing for dollars, etc.). Raffe tickets are nothing more than early onset manipulation of future IBCs. They should try a combo Madonna, Princess Bride, Magician party instead of raffle tickets. Just yesterday a local Kbot posted on our town’s FB page that she was doing “post chemo care” goodie bags that you could “sponsor” for $20 and she would take the goodie bags to the chemo center to be given out to patients who had finished chemo. They included an MK lip gloss, an MK hand lotion, a dollar store Find-A-Word and a dollar store pen. Oh, and a “Congratulations on finishing Chemo facial”. GRRR I personally find that so offensive having worked in a chemo center that the patient would be targeted and I promptly called the chemo center warning them of patient harassment by people trying to sell MK and pawning it off as a “post chemo facial”. I find it reprehensible that these poor women will be preyed upon by MK after chemo treatment. Usually you get a prize with raffle tickets..
Everybody gets a prize! a special one on one lunch with a genuine Mary Kay Lady here to offer you a special flopportunity to start your own manipulation business! Did I lay it on too thick? Usually, it’s a discontinued item or a sample size item like the hand cream. It’s really embarrassing if someone actually likes the disco item and wants to order another one or flips through the current LookBook to find it and then has to be told it’s no longer available.